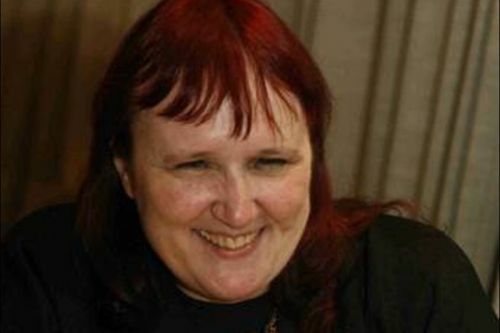 Mercedes Lackey is an American author of fantasy novels. She writes many different series, including her Valdemar novels, but also the Bardic Voices, Elemental Masters, Heirs of Alexandria, Five Hundred Kingdoms, Shadow Grail, Elves on the Road, Obsidian and several other different series. She learned her craft from Marion Zimmer Bradley and also includes C.J. Cherryh and Andre Norton among her mentors. Mercedes lives in Oklahoma with her husband and frequent collaborator, Larry Dixon. Magic 101 is a prequel novella to the Diana Tregarde series. Exemplar is a prequel story to the Secret World Chronicles series. Notes: A Cast of Corbies, Stoned Souls and Castle of Deception were co-authored by Josepha Sherman. Rediscovery was written with Darkover series creator Marion Zimmer Bradley. Invasion was co-authored by Dennis Lee, Steve Libbey and Cody Martin. World Divided, Revolution and Collision were co-authored by Veronica Giguere, Dennis Lee and Cody Martin. If I Pay Thee Not in Gold was co-authored by Piers Anthony. Tiger Burning Bright was co-authored by Marion Zimmer Bradley and Andre Norton. Knight of Ghosts and Shadows, Summoned to Tourney and Freedom Flight were co-authored with Ellen Goun. Winter Moon also contains stories by Tanith Lee and C.E. Murphy. Harvest Moon also includes stories from Cameron Haley and Michelle Sagara West. Charmed Destinies also has stories by Catherine Asaro and Rachel Lee. The Princess, the Dragon, and the Frog Prince also includes contributions from Raul S. Reyes and Elisabeth Waters. Fortress of Frost and Fire is co-authored by Ru Emerson. Prison of Souls and Wheels of Fire were co-authored with Mark Shepherd. When the Bough Breaks was co-authored with Holly Lisle. The Ship Who Searched was co-authored with Anne McCaffrey. The Halfblood Chronicles series was co-authored with Andre Norton. The Valdemar: Mage Wars and Dariens Tale series along with the novels Born to Run and Chrome Circle co-authored by Larry Dixon. The Heirs of Alexandria series and The Wizard of Karres were co-authored with Eric Flint and Dave Freer. The Obsidian and the Dragon Prophecy series are co-authored with James Mallory. The Doubled Edge series is co-authored with Roberta Gellis. The Shadow Grail series plus the novels Arcanum 101, Dead Reckoning, Beyound World’s End, Spirits White as Lightning, Mad Maudlin and Music to My Sorrow are co-authored by Rosemary Edghill. The Stellar Guild series is co-authored by Cody Martin. The Sword of Knowledge series is co-authored by Nancy Asire, C.J. Cherryh. Silence is co-authored by Cody Martin. Flights of Fantasy was co-edited by Martin H. Greenberg. Bedlam’s Edge was co-edited by Rosemary Edghill. The story Dance Track was co-authored by Larry Dixon. The story A Dragon in Distress was co-authored by Elisabeth Waters. The Valdemar Companion is co-authored by John Helfers and Denise Little.